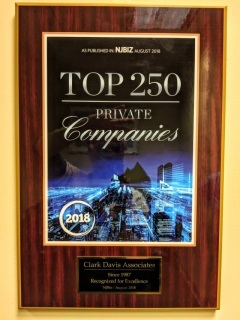 Clark Davis Associates was awarded the NJBIZ TOP 250 New Jersey Private Companies Award in August 2018! The entire team at our staffing office is honored to have been recognized for their hard work, and we are proud of our team!! Our company has been in business for over 30 years and the recruiters on our team have a combined pool of experience adding up to far more years than that, so it is a great honor for our team to be recognized by the business community. We are looking forward to sharing more success stories like these in the coming years! Clark Davis Associates has Opened a New Division for Sales and Marketing Jobs! We are please to announce the opening of our newest staffing division!! We are expanding our staffing and job placement services to include Sales and Marketing positions, as many of our clients have been making requests for our services to recruit sales professionals and marketing talent. 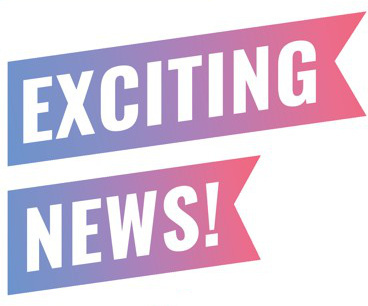 We are excited to be able to help both our clients fill job openings and also the skilled professionals to find jobs within this exciting field! Our Recently Added Division for Sales & Marketing Jobs Is Growing Fast! Our listings for Sales and Marketing positions are growing fast! We have already posted 10 new job listings in this category, and more are on the way! Currently there are 5 active postings in the sales and marketing job listings section of our website. If you are looking for an opportunity in this field, or if you know someone who needs a job in sales or marketing please be sure to let them know and have them submit a resume to us in confidence!